I’ve been working with a variety of archival collections since the mid 1990s and have always valued, admired and thoroughly enjoyed the friendship and curious work of my colleagues in the field of archives management. I am continually intrigued by the stories we share. 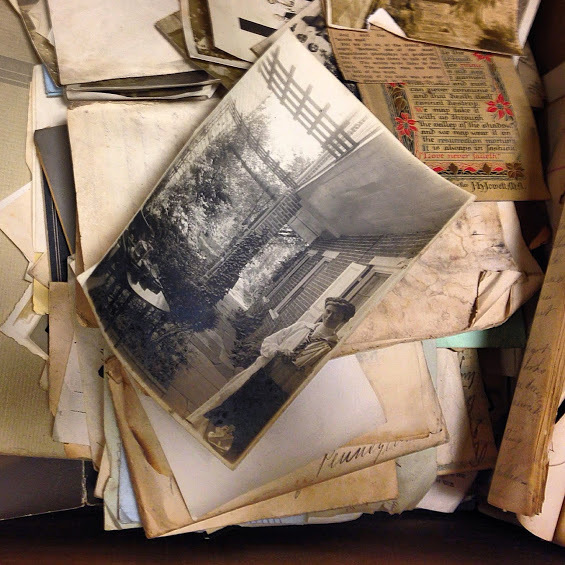 I have found that most every archive holds quieter stories that linger at the edges of the collection’s notoriety — stories that are often only recognized and felt by the archivist who had the honor of laying hands on each and every object in the collection. Quite likely, that archivist will be the last person who will ever handle every single item in the expanse of that particular story. There is a palpable sense of literally feeling and hearing a variety of voices when the first “untouched” box is cracked open. Cubic Footnotes starts here with a variety of conversations with fellow archivists, artists, fans and frequent users of archives, as well as a few individuals whose life work has been preserved in archival collections.